Step1. Go to Tx- SMOD. Step2. To find Enhancement press F4 button. From the POP Up screen, Click on the + button for additional selection . 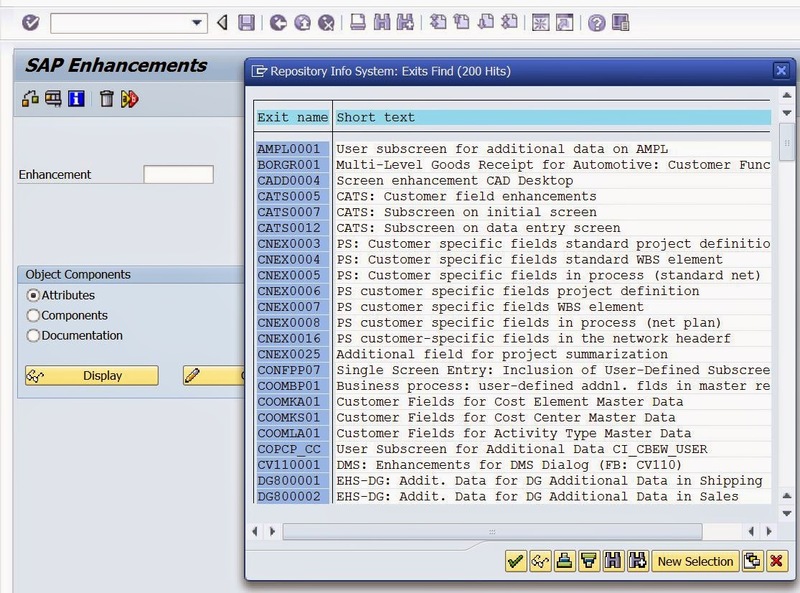 Here U can choose what type of enhancement U r searching. Step3. Let’s choose S – screen enhancement. Step4. All screen enhancements are appeared. Step5. 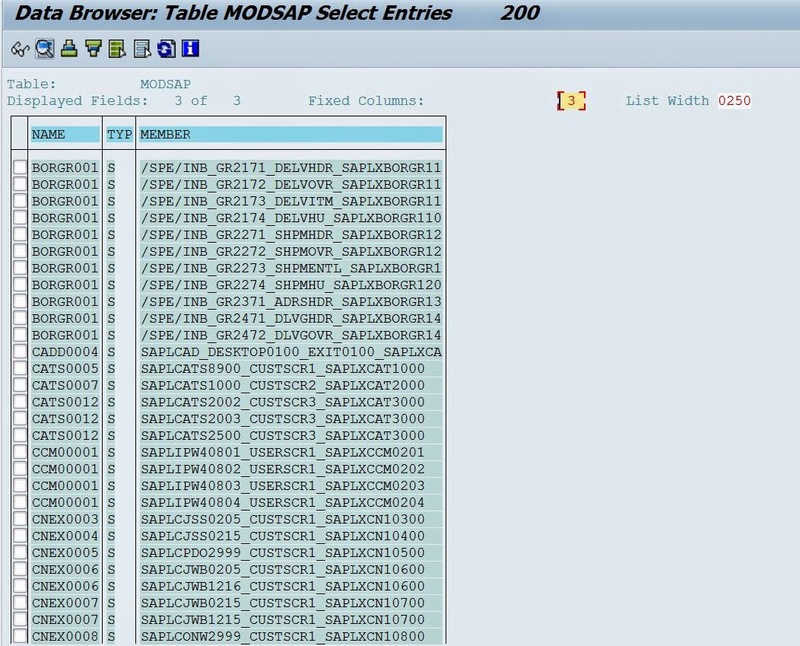 Go to Tx: SE11 .All Enhancements provided by SAP stored in the table: MODSAP. Step6. 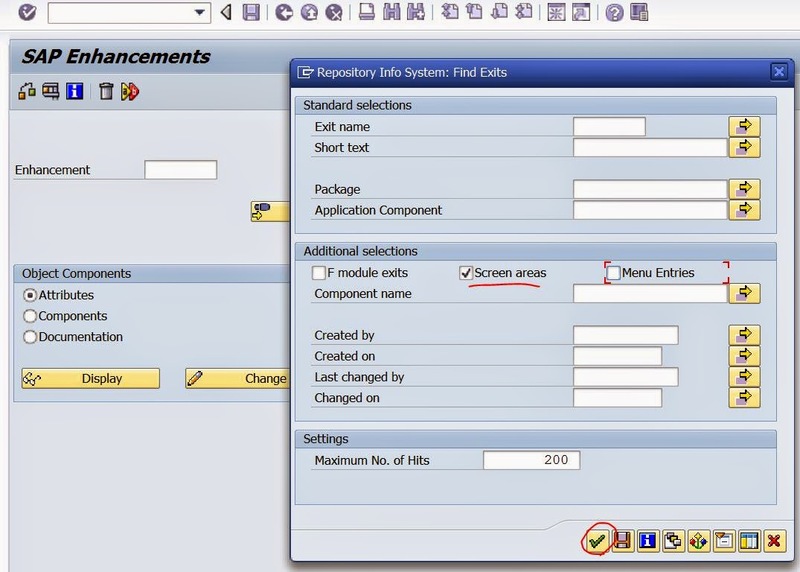 press F4 against TYP field and from the domain fixed value search option choose- S.
Step8. It shows all Screen enhancements.